During disaster situations, nurses often find themselves dealing with the challenges and potentially undesirable outcomes of providing care in compromised environments (lack of staff and supplies, loss of utilities such as electricity and water). 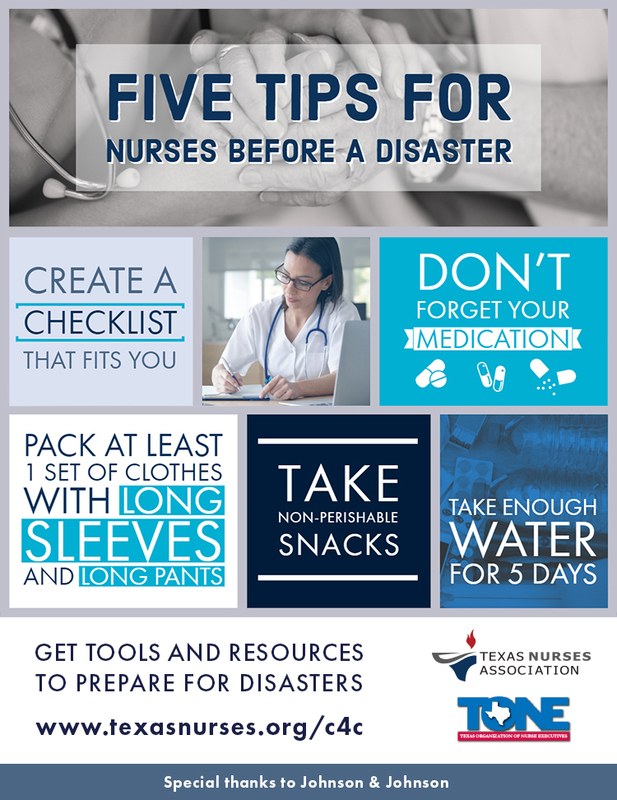 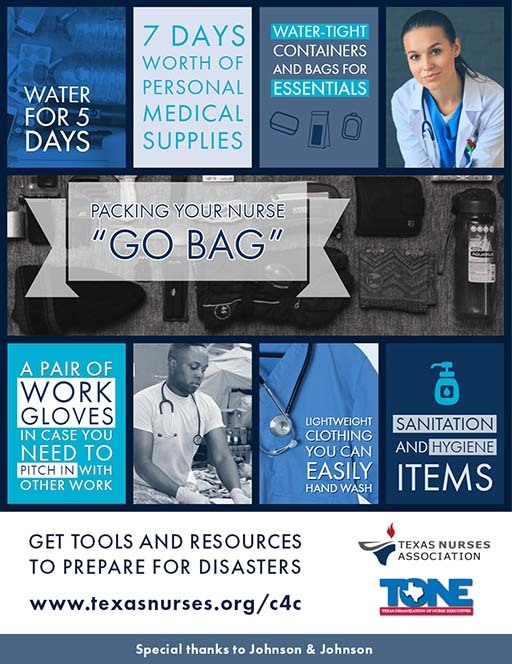 Texas Nurses Association and Texas Organization of Nurse Executives, with support from Johnson & Johnson, developed Care for the Caregiver to help nurses before, during and after disasters. Nurses are often compelled by their duty to care for others while trying to balance care for themselves. 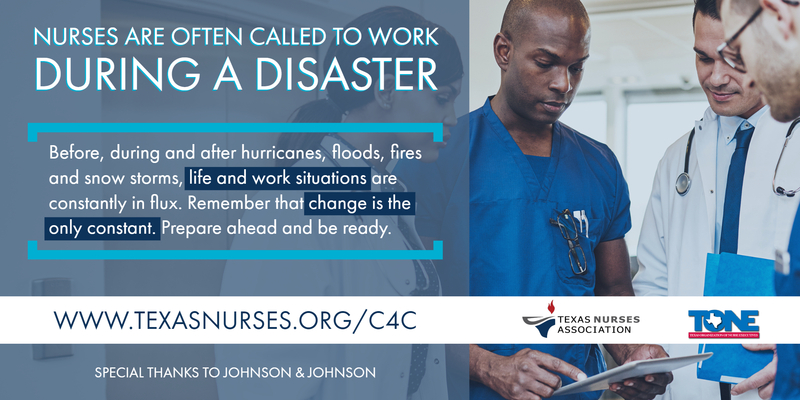 Nurses are also affected by disasters and are equally concerned about the safety of their own families and homes. 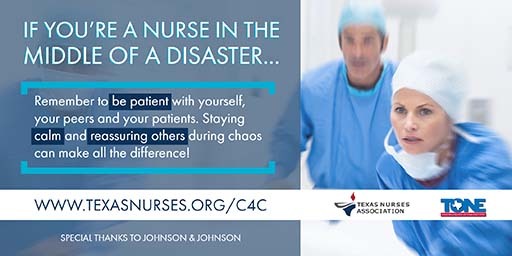 In addition to mental and physical fatigue, nurses may experience moral distress related to ethical concerns arising from conflicting values and obligations inherent in the disaster work environment. 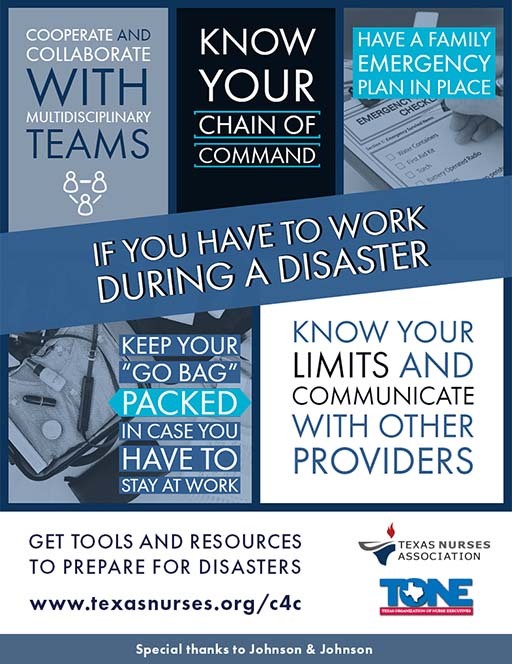 If you are exploring this site, you have likely either served during a disaster or in a disaster recovery effort or have a friend or family member who has served. 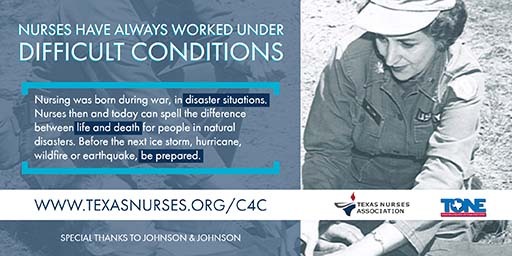 We thank you for that service and commitment to the profession. Click images below for full resolution. 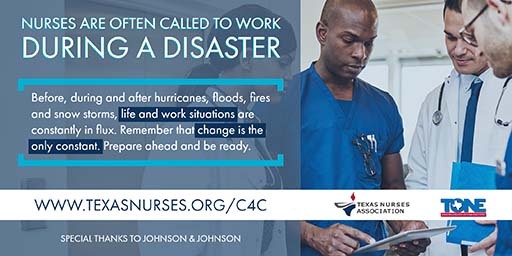 The pre-incident videos, titled Preplanning and Preperation for Impending Disasters, are meant to be watched before a nurse is placed in a disaster situation. The videos offer strategies for preparing both at home and at work for a disaster, such as a hurricane, earthquake, flood or wildfire. This video explains techniques for mitigation of stress responses during disasters. 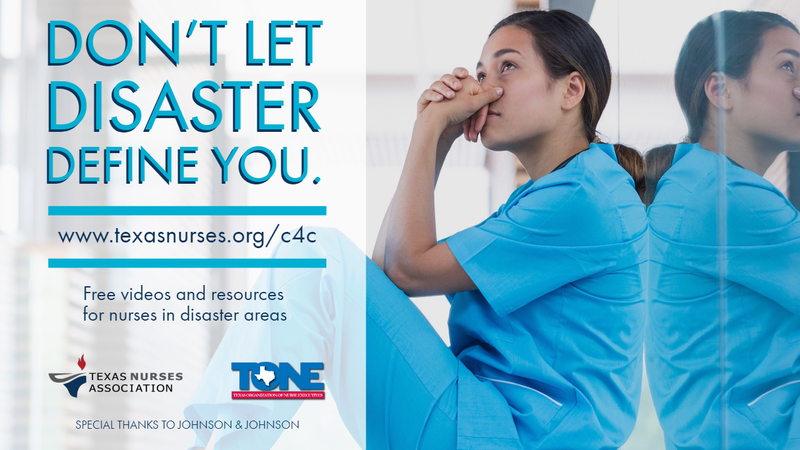 By understanding how their personality may affect their resiliency, nurses can be prepared to recognize and treat stress. 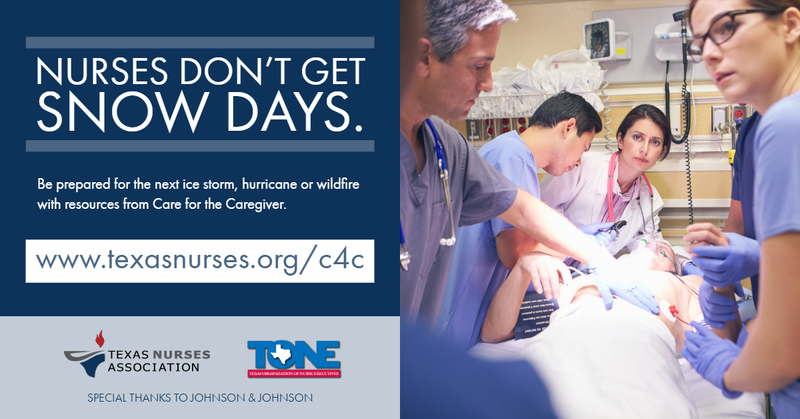 This video explains how nurses can be affected by stress, PTSD and compassion fatigue after a disaster. 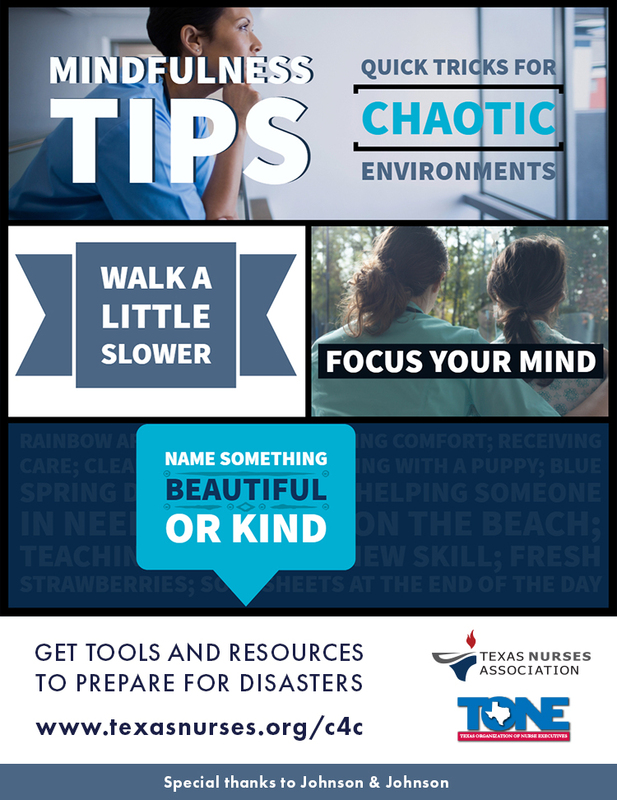 See how personal resilience can affect responses to stressful situations.